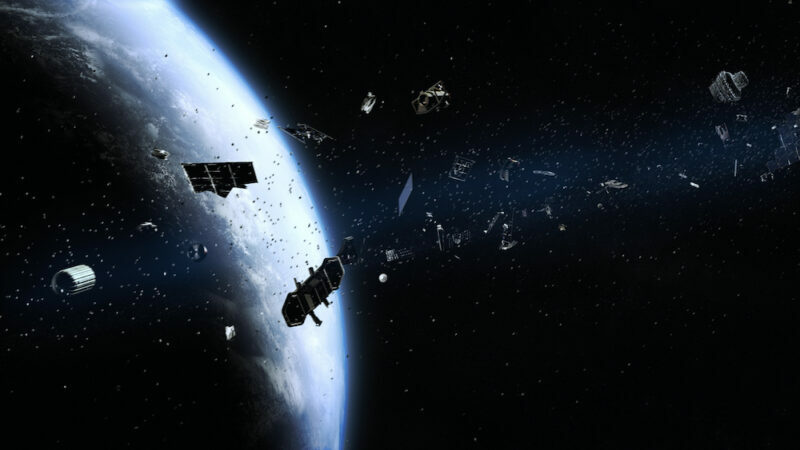 The U.S. Air Force Life Cycle Management Center and a host of tech firms led by Raytheon have come together to revamp the legacy Space Defense Operations Center, which tracks and monitors space junk. The Air Force plans to replace the SPADOC system with upgrades that will overhaul operations and provide greater space situational awareness and collision avoidance capabilities, Raytheon said. The new system won’t be online for several years. Dave Fuino, program director for Raytheon Intelligence, Information and Services, said bringing together a team, building the technology to modernize the system and testing was done within just a few months. “We went from concept to proving the solution in less than a year, which is really remarkable,” he said. Raytheon and AFLCMC decided to emulate SPADOC’s capabilities with more current hardware. The new emulated environment offers a more sustainable system that requires less maintenance. The new hardware will provide the same functionality as the system today, making it easy to learn and operate. Additional benefits are decreased power and cooling consumption. Most of these cuts are because all of SPADOC’s capabilities are now integrated into two small server racks instead of spread over 1,000 square feet of an aging, analog computer system, Raytheon said. “Between the experience of our NORAD teammates, a.i. solutions, Zivaro and E&M Technologies, and leading emulation companies Fundamental Software and M2 Technologies, we addressed the aging SPADOC system. It’s a game changer,” Fuino said.